With our Schind wood chipper and bio shredder you can covert twigs, leaves, and branches into wood chips for bedding on your back yard. You can also use it as wood chips thereby saving money instead of buying it. You can also convert it to compost for use in your garden. If you have no plans with it, you can simply convert it to wood chips to reduce the size of your pile to one tenth (1/10) of the original size, put in in sacks for easy disposal, or for giving away to others, or for selling. 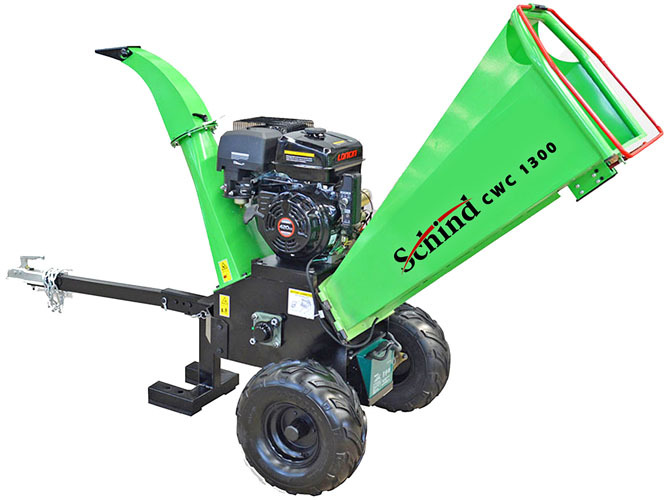 Our Schind wood chippers and bio shredders are designed in Europe and sold world wide for many years. Our Schind machines are state of the art technology, honed to perfection after many iterations. We offer you the best wood chipper in the market today. We use only honda engines which are known for its reliability world wide It also comes with a global warranty, and has service centers all over the world.